The used Hitachi UST-9115-5 probe uses a patented HST technology and provides exceptional image quality when higher frequency abdominal, kidney, bladder, obstetric, and gynecologic imaging is needed. This convex probe has a frequency range of 3 to 8 MHz, a scan angle of 60° FOV and a scan width of 60 mm radius. It is compatible with the Hitachi ProSound F75 ultrasound system. 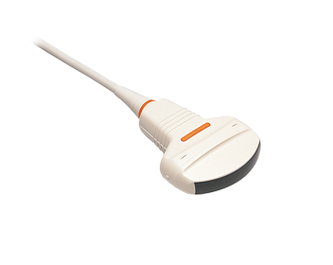 For information on the refurbished Hitachi UST-9115-5 transducer and all our other refurbished ultrasound probes please feel free to reach out to us by using the contact form below or calling us at 877-661-8224. All our sales experts are ready to provide you a no-obligation quote today! I want a free price quote on the Hitachi UST-9115-5, send it today!